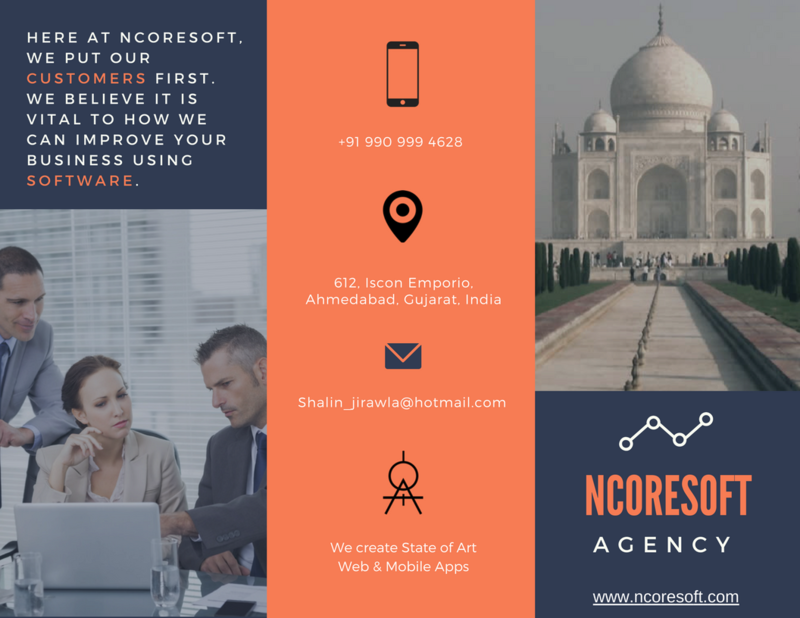 We, NCoreSoft are a software design & development company! We create innovative & inspiring mobile apps, websites & web apps. NCoreSoft is a rapidly growing private Offshore Software Outsourcing Company with a wide collection of designers and developers. Our philosophy of delivering fresh websites, mobile applications, designs, custom softwares sets us apart. In addition to this a uniform culture can be seen everywhere–in our teams, workspaces, process, and deliverables also. Furthermore with diverse core backgrounds, we naturally have different ideas, and teaming up with our clients, we create innovative combinations. Having worked with Fortune 500 companies like Infosys & Deutsche Bank, has given us adequate knowledge and expertise. We realized that IT sector needs more of such better and qualitative solutions provider with user-friendly experience. With experience of working on large-scale & data-heavy web applications, we have carved a niche in creating apps which are robust, scalable and have easy to use interface. We are a rising team of passionate, multifaceted and vibrant people who are committed to our work and dedicated towards utter client satisfaction by providing the best possible products and services also. We are a realistic, amiable and approachable cluster of people who are avid about customer service. We strive to provide the pre-eminent mobile applications and websites, customized exactly as per the client needs. As a result we achieve utmost client satisfaction which will hike up repetitive business and customer recommendations. We are meticulously committed towards establishing strong client relationships by providing incomparable and revolutionary applications and websites. We hold expertise in Business process automation and offshore software outsourcing. We transform operations for multiple industries through latest technologies like Asp.Net MVC, C#, SQL, Angular.js, Node.js, Mongo DB, .Net core, D3.js, Azure Service Fabric & Microservices which you can see in our portfolio. We create the entire process from requirement to launch so easy and intuitive that you can focus on your business entirely while your product shapes up fine in the background. Furthermore we have an intellectual team of subject matter experts in each of the relevant technologies mentioned who advise the best solution you need and optimize your operations also. We care about your needs therefore don’t force what we want. Solving your problems using the latest, feasible adaptive technologies especially is our day-to- day job and we do it with great fun. So tell us about the idea which you are planning to build [Website and Mobile app], we will take your worries and design it into a most noteworthy master craft. You receive varied benefits like high return on investment and highest quality of output. It also allows you to focus on your core business competencies. So Our efficient and flawless communication makes it easy for clients to get their dream ideas launch to market fast. We help start-ups and small to mid size software companies to setup their ODC to reduce cost and increase ROI. By selecting us as an ODC, you do not have to incur expenses on infrastructure development, hiring employees, etc cost.